I love plum sauce! 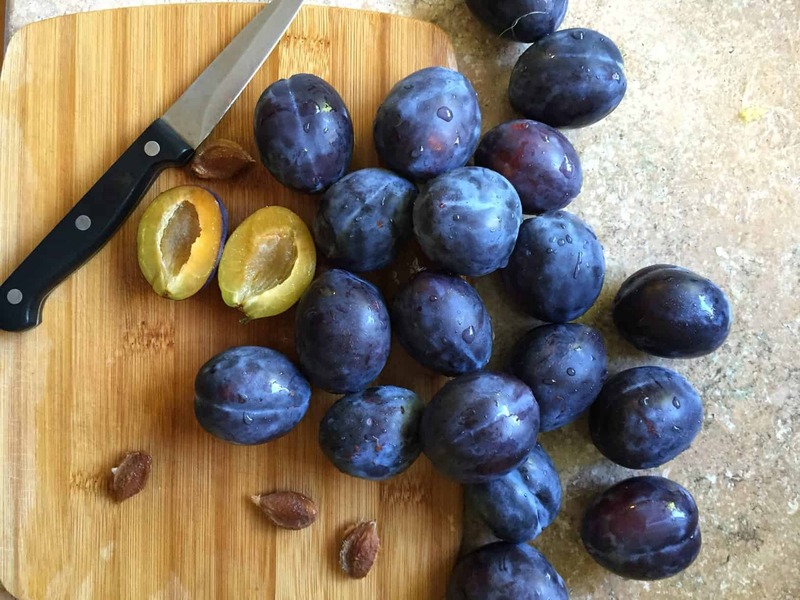 And lucky for me, there are a ton of plum trees growing all over the farm; trees boasting a variety of different species of plums. Their branches laden with plump, juicy orbs, warm in the sun, ripe for the eating. And eating I have been! Piles of plums daily. My flock is equally crazy about plums and we’ve all been on a plum high for the past month or so. Aside from gobbling up as much fresh fruit as possible, I’ve been dehydrating batches of plums for weeks now. 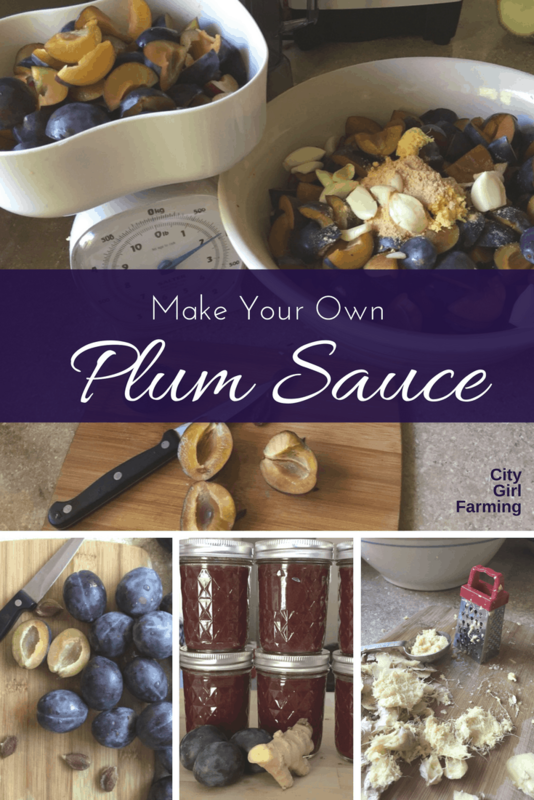 But my favorite way to preserve plums is a simple to make Asian Plum Sauce. Oh. My. Full of rich, sweet plum flavor mixed with spicy ginger and a soy sauce bite. 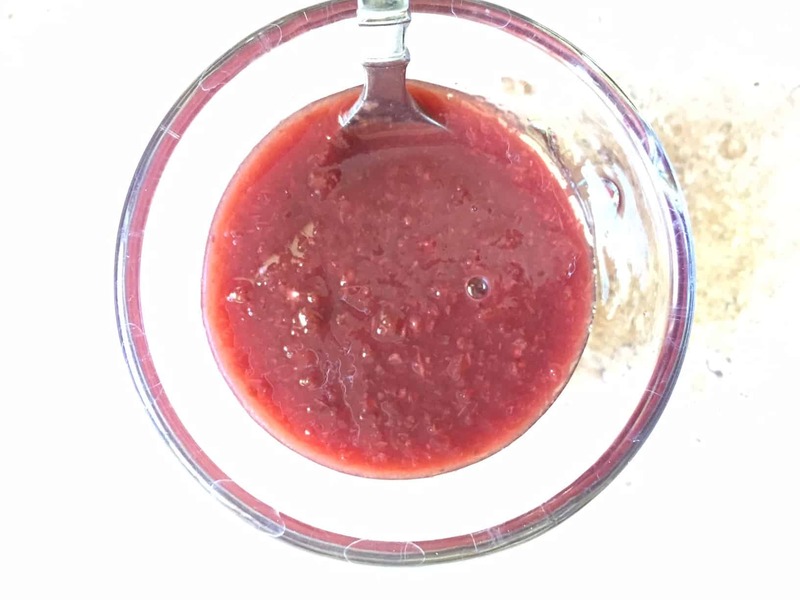 The vinegar in the recipe balances the sweet fruit (and brown sugar) making it a perfect combination of lots of tasty flavors. Spicy. Sweet. Sort of BBQ sauce-y. Definitely Asian. 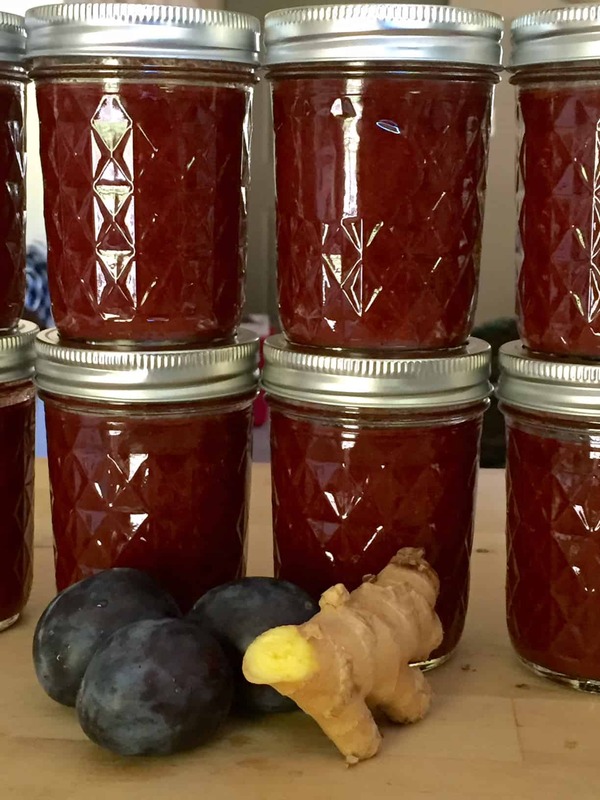 This sauce is suitable for canning, or, if you’re not into that mess, it’s a small enough batch to whip up and keep in the fridge while you use it up. The recipe says it makes around 3 cups, but it generally makes me 4-5 cups per batch (I’ve made 6 batches so far this year). The recipe says to combine all the ingredients into a non-reactive pot and bring it to a boil. Reduce heat, simmer until thickened (20-25 minutes). Remove the star anise and puree with a stick blender. 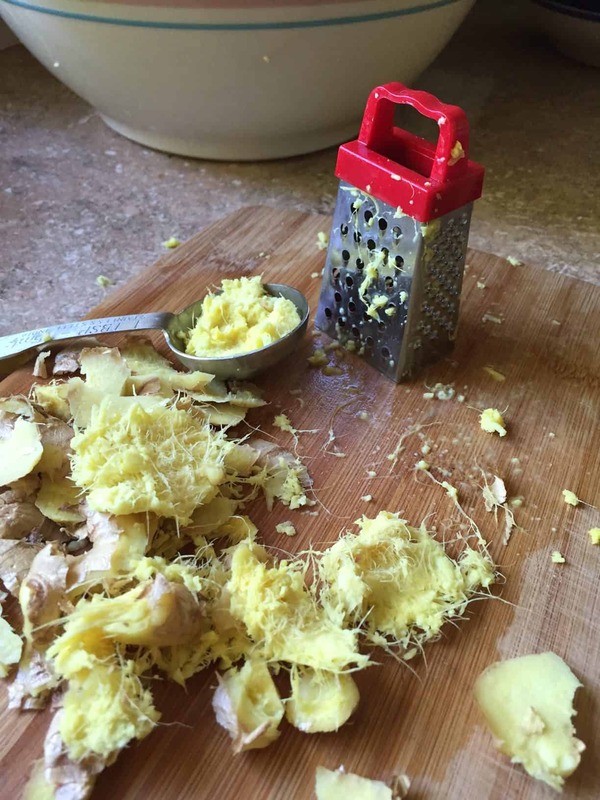 I throw everything into my Vitamix and blend it up (don’t put the star anise in if you’re doing it this way). Then, I bring to a boil and simmer until thick (at this point, if i was using the star anise, I’d throw it into the pot). You can store this in the fridge for up to 3 weeks. Or can it. If you can it, use the boiling-water bath method with four-ounce or half-pint jars. Boil for 10 minutes. (If you need more information on how to use the water bath method, check this out). Easy peasy. The hard part will be deciding how to narrow down how you will use this lovely sauce. Mmmm. Enjoy! This blog post may contain affiliate links. That means if you click on the link and buy something, I get a few pennies to help support this blog. It doesn’t cost you anything extra, I promise.